Check out the Ancient World Breeding and Element update! Ancient dragons are a whole new type of Dragon. They can’t fight or be bred, instead they produce Platinum and can be summoned with Crystals. Use Crystals to summon Ancient dragons. how to bring ancient dragons to hatchery? 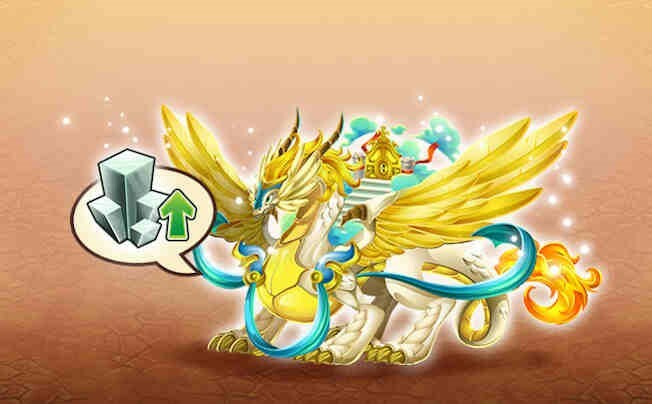 i wanna ask, if we upgrade the ancient dragon level, will this influence possibility on percentage of breeding result ? someone knows a calculator to do the dragons in the Ancient World ??? The Brand New Dragon City Deity Island Update is here! You can see it on the upper left corner of your first map! Don’t be scared. http://www.Dragoncityguide.org will give you the breathtaking revolutionary guide that you will find NO WHERE ELSE! Read now and get ahead of your competitors! Find out about dragons, ancient portal, crystals, platinum, new elements, etc. I have summoned all the ancient dragons. Now it just says new dragons soon….does anyone know when the new dragons arrives? why is the Mining time too Long -_- pshhh… !! its nothing but a gem scam its robbery there is no point to it. what a waist of time shame on social point they are criminals. So they can’t fight or breed?! Then they are useless dragons! What’s the point of trying to get them? Unfortunately we can’t use the Ancient Dragons for breeding or fighting purposes. But if you are interested in collecting these dragons just as a perk when you play the game then I would like to share my strategy. So here is my advice to collecting the Ancient Dragons without headaches of how you should spend your platinum. Everything is listed in steps *NOTE: My Strategy is opinionated and I’m not saying it is the best. But I would like to help others and maybe others may incorporate my tactics to their game strategy. 1. Repair the Ruby Mine. 3. Rebuild the Sapphire Mine. 5. Evolve Guardangel Lv 2. 6. Evolve Gorgoneia Lv 2. 7. Upgrade Beauty Habitat Lv 2(Guardangel’s Island). 8. Upgrade Ruby Mine Lv 2. 9. Upgrade Sapphire Mine Lv 2. 10. Evolve Guardangel Lv 3. *NOTE: A lot of my friends rush to go after the next dragon. But this is what you want to keep in mind. Don’t rush getting Piercing Dragon. He’ll come eventually. 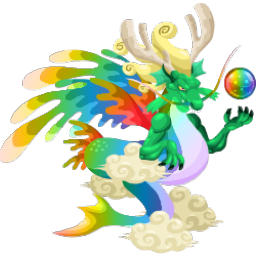 What you should focus on is collecting Platinum and the collection of Clean Rubies and Clean Sapphires because you will need to create Pure Rubies and Sapphires later for the summoning of Piercing Dragon. 13. Upgrade Topaz Mine Lv 2. 2. Evolving all my dragons to be at least Lv 3. 2. Upgrading my 3 islands to be at Lv 3. Why can their offspring not breed in the “regular” world, but they can fight? How to bring them to hatchery?? Joseph are the ancient world dragons weak to certain elements or critical hit certain element? obserno and gorgoneia = ? haaaaaaaaaaaaaaaaaaaaaaaaaaaaaaaaaaaaaaahhhhhhhhhhhhhhhhhhhhhhhhhhhhhhhhhhhhhhaaaaaaaaaaaaaaaaaaaa. sunt foarte slabi.moaahahahahahahahahahahahahahahahaahahahahah moahahahahahahahahahahahahahah. Are there any information about how much platinum we need to upgrade an ancient habitat? ahaahah I cant believe This w3ws ! if ancient Dragons can’t why shoulD we hace them? what is the max level for ancient dragon? How many levels can one ancient dragon reach? I bred Level 2 Guardangel and level 2 Gorgenia and got a mermaid dragon. comment faire des bébé avec eux mis dans le nouveau monde ? how can i breed the ancient dragons? can you breed then in modern world and then place in ancient world or do they stay in modern? does anyone know how much platinum it costs to upgrade an island? So far I have only bred dragons from the ancient world parents that I can already breed in the main game. Do ancient world breedings EVER produce any new and different types of dragons? i have three new dragons from breeding two ancient dragons but i dont have more room. it wont allow me to upgrade my beauty and magic habitats the upgrade botton isnt there. any reason y? I have summoned by error two guardangel, how can I erase one? I summoned Recondite, summoning is finished but the summoning wall is showing I summoned Guardangel. When I try and place it I get Recondite in the dream habitat but then a server error, the placement doesn’t take and Dragon City reloads. Now I’m stuck. Any advice? I can’t even use most of the features anymore as after I bred two ancient dragons, it keeps telling me the servers aren’t working. It also gives me the option to summon dragons I don’t have resources for and then kicks me. There’s not even a different style of battling or breeding. It’s kinda repetitive if you ask me. What’s the ancient world suppose to be about exactly? I mean, what purpose does it serve? And don’t give me a simple answer “Oh, because the creators wanted more bang for their buck” or “Because more dragons equals more fans for the game!” I want a logical, detailed answer here, folks! Please give me a good enough answer and your opinion on this whole ancient world thing in Dragon City. I know I should give it a chance and all, but c’mon! It’s just the same thing, just different design for the dragons and how you get them by “summoning” them than you would by just breeding them with any ole dragon. i just got my guardangel, but it says my habitat for beauty is full, and it doesnt allow me to upgrade it. what do i do? Have Prophet and Bride and one other ready in 5 hrs. Prophet is in training. Does anyone know a way to sell or at least store the Meme Generator? I am breeding dragons in the ancient city but when they finish the don’t appear in my hatchery or storage. Can anyone help? I am now on Level 37 on PC and the breeding dome is still not available. does anyone know when it will be? Do I have to summon all ancient dragons first or will it apear on lev 38? Some of the ancient dragons symbols, displayed in this section, are wrong or SP changed the initial ones. For ex. Recondite has the Dark and not the Sea symbol, Turkgon has the Ice and not the Sea symbol……. Is these dragon can not fight or battle them? I am missing some of the double elements dragons and hopefully will be able to breed them here. Before to many mention on the new quests, I have been without WIFI for months. Just finished breeding 2 ancients and when it showed my hatchery there was no egg. Must be bugged. I don’t understand how to breed the ancient Dragons that are available in the dragon city store. It says “breed in ancient world”. When I bred 2 of my ancient Dragons in their breeding dome, I got the armadillo dragon again… Someone please tell me how to get the new dragons! Ok guys we just bread gaur dangle and gorgonian. I got 40 hours and my partner got 16 hours! So how do we know what we are breeding????? From what I understand you breed them in the dome then the hatch in dragon city. I maxed all the habitats, know gotta finish maxing all the dragon’s they only go to level 5 maxed if I’m not mistaken. Trick is having gold just for mining, evolve the lowest one then you see older one that evolve 2. Mining. The long part. Yea it did take a few months to get them all. Half way maxing them all. Waiting for some to bring the to Dragon city these dragon’s are way above legendary, that been a challenge for me. Got all the dragon’s when breeding dome opening? how do you breed with these dragons? 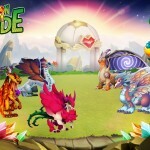 ancient world just giving you a chance to breed the coolest dragons.,. So now I can see the different Ancient World habitat names in the regular breeding areas but then it says I don’t have dragons of that type. But I do there in the Ancient World. Does this mean I will be able to breed the two types of dragons? that would be so cool? this is only showing up on my android phone but not my facebook version. Whats the point of this???? Is anyone else having problems with DC crashing now that they added Ancient world. What’s the point of having them if you can’t use them? I’ve got all the ancient dragons (18 so far) and I’ve got a 1/3 of them maxed out does anyone know how to get or when they are coming out with the magic, soul, chaos, dream, Beauty, happiness, element.? How many platinum do I need to level up my beauty habitat? i just love the new dragons. they all are unique. just waiting for the breeding dome to be opened and see the new combinations. In short its [ U S E L E S S]…..Lol…! no advantage if they cnnot be bred or be fought with. whats the point of this if they cannot breed or fight?????? It’s been on mobile for a couple months now. Coming to Facebook soon. Anyone got any ideas when/how to open the breeding dome? 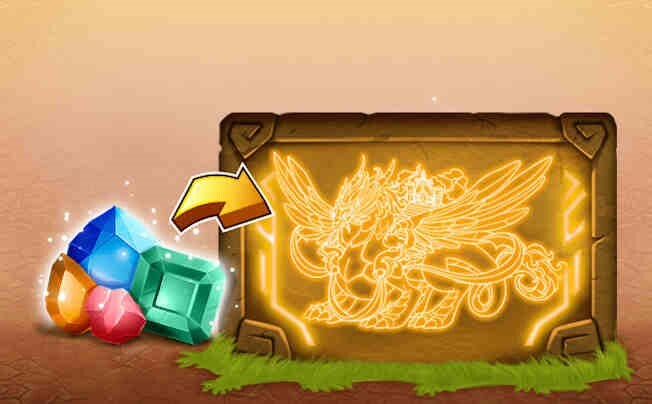 How do u get the Ancient Portal In Dragon City? I just gathered my first group of ruby gems after their new 24 hour mining cycle. The yield is much more significant. 68, 15, and I did not catch the last number. So perhaps they’ve taken some of the drudgery out of the mining process. Oops. Ruby wasa20 hour cycle. yeah, this has been a very boring addition to DC. I hope the breeding dome makes up for it. Not sure how it will work thou. Are the dragons you breed going to be hard to attain ones from the normal DC world. Why do the gems (red, blue, yellow, etc) all of a sudden cost way more and take almost a day to mine? Why the sudden huge increase in time to mine crystals? It will now take weeks to upgrade a dragon one level. I hope this is a programming error that will soon be corrected. It will take forever now to Upgrade the Dragons. Dragon City increased the amount of gold it costs to get crystals. Also it now takes 24 hours to get the ruby crystals? I Haven’t tried to get more of the other crystals so not sure how much time it will take to produce them. Why the huge increase in time and gold for these crystals? I don’t see the point of the ancient dragon portal. We can’t export them or import them, we can’t “breed” them “yet” since it says ” coming soon” So what is the dang point if them? Did anyone realize what are the elements of the ancient dragons? I know there are terra, flame and sea but what are the others??? I can hardly wait for the breeding dome to be released. How about you, Joe? I have gotten up to 7 of the dragons on the ancient world, but when I try to go into summon dragons now, it only bumps me out of the app…anyone know why? Okay, when can we summon the last four dragons? I’ve already finished everything else with the Ancient World. why is there no longer ancient world on andriod? and where are my spent gems from if you taking it if you taking it away? We have to let Dc knows that we need more trainer center maybe a couple more!!!! OK, got it on my phone, but since my phone updated, I can’t get into it. It always bumps me. Don’t have it on PC, though I’ve seen others who have it. How can I get back to it? whats the point of ancient dragons if they cant breed or fight what can they do? I don’t see them giving any kind of points or anything so they are just for looks or what? Why is it that you can’t get this on PC. I can’t afford a smart phone. It should be the same game play across the board. It’s not on the PC. I only have it on mobile. I see this when i go to my friends worlds in Facebook but it is not on mine. Why? I like the idea of breeding the ancient dragons but I’m going to have to cut back on playing it because it just costs way too much gold to get the crystals now. I need to upgrade my breeding sanctuary and get food on my farms at the same time and I can’t really keep up. It is a nice game but it definitely needs to start giving me something back in exchange for all of the DC gold that it’s eating up. I have all 14 ancient dragons I want more. Evolving some dragons is too hard they need bright crystals but mines at even max lvl produce only 1 fine crystal at a time. So a few weeks now into DCAW and its a good addition: the dragons look really cool, the upcoming breeding is going to be interesting, and the possibilities of other dragon dimensions is a neat idea. Also interested if they will add any further types than the original 6 shown to add to the collection. Keep working it SP, been a good run so far. Like in regular DC, the dragons have to be at at certain level to breed. What level do you think they might need to be? Ancient dragons are awsome. Awaiting breeding dome to be activated is frustrating. Can’t wait breed these beautiful dragons. How do you get the Trianable station??? When is the breeding dome in Ancient world going to be active? when is this coming out on a PC? What level can the ancient dragons breed? I’m so curious. Please help!! On my Android there is a new building called the Breeding Dome. It seems that the Ancient Dragons will be able to breed a new generation for DC. How can i know which habitat corresponding with which dragon? I upgraded the red Rudies from 4th to 5th stage. And it still says pure to pure going to 5th to 6th. I figured 3rd to 4th. Was just a mistake saying pure to pure instead if pure to fine. I need help please. It seems there is actually a reason to play the ancient dragon city game. Just a minute ago I went to the Ancient Portal. Found something brand new. There is a breeding dome in the Ancient world. It says that it will be coming soon. 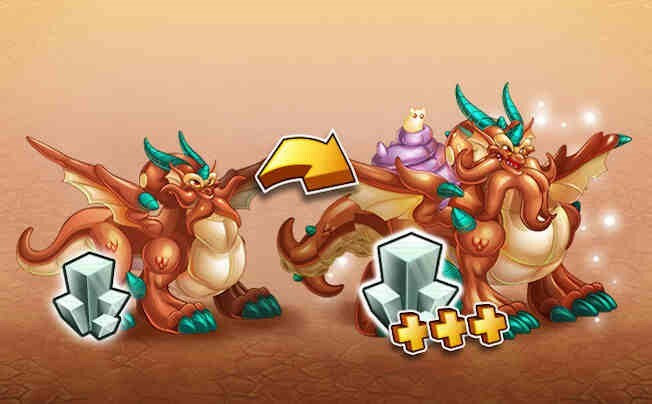 That you can bring an unseen breed of dragons from your hatchery into Dragon City. If that’s the case and you are bringing dragons from the Ancient World. That means your new unseen breed dragon will be available to fight and breed with previous dragons. So happy that I decided to invest time into this mini game. Add me if you need any help. I have got really far in the Ancient Portal. what is the buttom line of playing in portal? why can’t pc players get this porthole ? Well the portal is quite pointless isn’t it !! What are you ment to do with them other than evolve them? i havent been able to access the portal for 2 days and it has a timer showing in dragon normal for portal. I’m working on Obserno and they just opened 5 more past the original 9. Anyone working on those yet? as the portal opens this ancient game? What are they for they can be used to fight??? They Can’t Fight or Breed. Read the description above. What are the new elements? Beauty is one. They others? Can they be used in battle? Like the start..but will need more maybe be able to transfer from world to world…and fight is a must. I will continue enjoying this fun game as long as I don’t have to pay real money, I have been playing with this app for more than a year now and had been able to get everything I wanted to for free, never paid a penny and I have not used any type of hacking method, just be patient and ignore any “offer” that requires use real money. Have fun while is free. These ancient dragons will be overcome or even compete with other dragons? Or you can just get them? Looks like it’s gonna take spending money to even a decent start. Not getting into it all. Then what’s the purpose of collecting these dragons? I like to fight them and this is pointless.